All companies need some form of business insurance. If you have employees, you need to carry workers compensation in order to comply with state law, but there are reasons to carry business insurance that go beyond legal requirements. As an independently owned and operated insurance agency, Pufalt-Pauley Insurance Agency understands the needs of businesses and business owners. Our experienced insurance professionals work with companies of all sizes to provide advice and guidance concerning insurance and risk management. No two businesses are exactly alike. 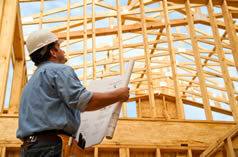 A home-based carpentry company has different liability concerns than a large manufacturing plant. Accountants have a different set of risks than caterers. Even within a single industry, risks and insurance needs vary from business to business. Pufalt-Pauley Insurance Agency treats every corporate client with careful attention and respect. We’ll help you find the insurance and risk-management tools you need today, and we’ll be here for you as you grow. Our licensure in multiple states ensures that we can grow along with you while our independent nature allows us to shop a variety of insurance providers for you. To learn more, take a moment now to fill out the simple online information form. One of our experienced representatives will reach out to you shortly. Let us handle your corporate insurance so you can get back to running your business.